Use lemon, vinegar and baking soda as nontoxic substitutes for commercial cleansers. Since each of these substances are edible, they won't harm you, your pets, children or the environment. They're cheap, especially if you use bottled lemon juice when fresh lemons are expensive. You can use either white or apple cider vinegar, although white is cheaper. Buy baking soda in the big boxes. Lemons are a mild disinfectant and effective cleaner. Put used lemon rinds in the garbage disposal with a handful of ice. Turn on for ten seconds then flush with water. This keeps the disposal sanitized and smelling fresh. Add 1/2 cup of lemon juice to the washing machine when the cycle is on rinse for a mild bleaching effect and fresh smell. 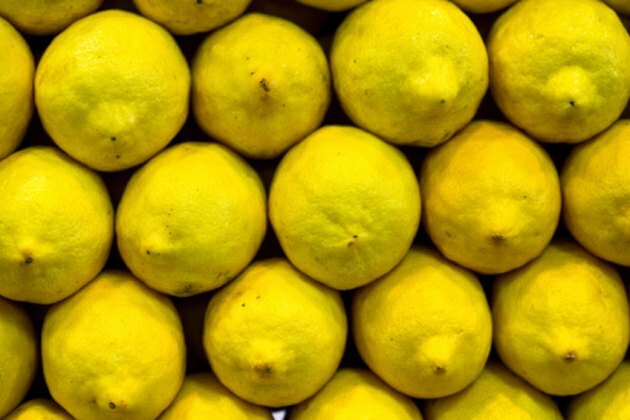 Wipe a lemon half over counter tops to sanitize. Rub the lemon over grout. Scrub with a toothbrush and rinse to remove stains. Remove a tough stain by sprinkling with baking soda. Let stand for 20 minutes, then scrub with a toothbrush. Rinse with plain water. Wipe surfaces with straight vinegar, which is a mild disinfectant. Let dry. Remove calcium and rust with vinegar. Saturate a paper towel with vinegar. Apply to the rust stain. Cover with plastic wrap to slow down evaporation. Remove after three or four hours. Clean your shower, bathroom and kitchen faucets. Fill a plastic food storage bag with enough straight vinegar to cover the faucet head. Tie in place with rubber bands. Let stay overnight. Remove and calcium and other mineral deposits clogging the faucet will be gone. Replace half of the laundry detergent with baking soda. In other words if you usually use 1 cup of detergent, use 1/2 cup of detergent and 1/2 cup of baking soda. Wet the armpits of shirts, sprinkle on baking soda, scrub gently to dissolve the soda and wash as usual. Remove grease stains by wetting the stain. Make a paste of baking soda and rub into the stain. Let it set for 15 minutes. Wash as usual. Clear out slow drains or freshen up infrequently used drains. Pour 1/2 cup baking soda down the drain. Mix one part vinegar or lemon juice with three parts very hot water. Pour down the drain. Flush with hot water after the mixture has stopped foaming.